Originally published in 1957, New Developments in Analytical Psychology built on the work of C.G. Jung. Jung’s researches into the unconscious had led him to study the history of religion and the hitherto little understood psychology of alchemy; they had directed him away from child psychology and also, in later years, away from clinical analysis as well. Nonetheless his discoveries and theories have essential relevance in both these spheres. All the papers in this volume complement and amplify Jung’s work. The author made a special study of child analysis and ego development and here publishes his conclusions in a series of papers. The studies of children led to developments in analytic techniques which are worked out in a longer essay on the transference, to the understanding of which analytical psychology has a unique contribution; they have also stimulated a reassessment of the relation between the concept of archetypes and modern theories of heredity, instinct, neuro-physiology, and evolution, in which there had been much misunderstanding at the time. 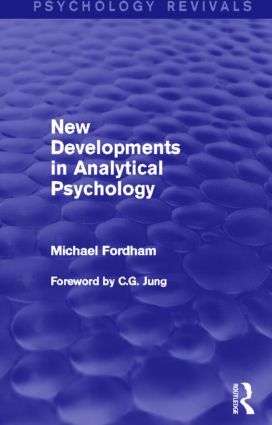 Michael Fordham was the last of the founders of a movement in psychoanalysis, and pioneered the Jungian analysis of children. This significant, early work can now be read and enjoyed in its historical context.